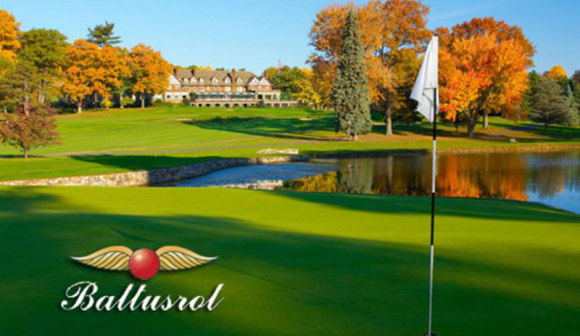 On the eve of the 100th PGA Championship tournament teeing off tomorrow morning at Baltusrol, Sky has announced it’s struck a deal for four more years of the event. Sky’s also signed a four-year deal for the Senior PGA Championship, which will return next year. The deals follow Sky securing continuing coverage rights to The Open, The Senior Open Championship, and The Women’s British Open Championship through to 2020. It’s great news for golf fans after the PGA’s doomed streaming experiment went belly up quicker than Jordan Spieth’s winning streak. But hopefully Sky won’t take golfers for granted and will continue to improve its coverage with more featured groups and even library content. While the PGA streaming service wasn’t properly developed for primetime — the biggest weakness was the inability to fast-forward or rewind with the ease of a Sky PVR — it did offer fantastic value for money with its ad-free coverage and deep archival content. Already there are signs that Sky isn’t treating golf with the respect it warrants: the first two rounds of this weekend’s PGA champs are on pop-up channels, which means Fan Pass users are out of luck. There’s also the frustration of crucial shots being missed because of badly timed ad breaks in Sky’s coverage. But Sky says the timing of when ads are taken is determined by the world feed provider (WFP). “Sky only takes an ad break when the WFP take their break,” Sky spokeswoman Kirsty Way says. “The standard break duration is two minutes. “The WFP is in most cases reliant on the host broadcaster — these are not necessarily the same company. “Sky is reliant totally on the WFP. This means if they overrun in commentary and/or miss some action during a break, we are impacted on — as the WFP has no replay device to show the action that’s been missed. Round 4, Monday, 3am-11am, Sky Sport 3 (channel 053).